The Sahtu is quite simply one of the most spectacular places a traveller could ever venture to. The region is rich with breathtaking landscapes, astonishing culture, world history, and amazing people. Every year travellers flock to the region to experience what residents call everyday life. 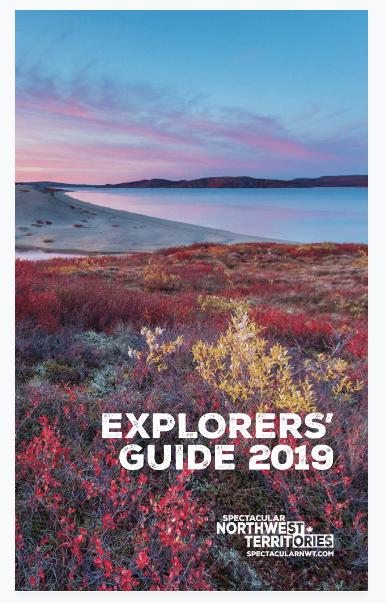 From catching a world record Lake Trout on Great Bear Lake, to hiking back in time on the Canol Trail, or getting a shot of adrenaline passing through the rampart rapids near Fort Good Hope, the Sahtu has more to offer than the average traveller can take in. Nestled in the heart of the Northwest Territories is the region we call home, the Sahtu. Five communities make up this amazing place which includes Colville Lake, Deline, Fort Good Hope, Norman Wells, and Tulita. Each community has its own uniqueness about it and truly embodies the spirit of the people that inhabit these awesome towns. Tulita has the stunning Bear Rock overlooking the community; this single mountain is rich with traditional Mountain Dene history and is the site where the legend Yamoria hung three large beaver pelts on the mountain, forming three dark ovals that can be seen on the mountain to this day. A quick shot up the Bear River into Great Bear Lake will take you to the shores of Deline. In Deline you can feel the energy and power that the lake gives to its people. Speak to a local resident about the Prophet Ayha and go to the historic area that he used to live to get in touch with your spiritual side. A hop over the Franklin Mountains will take you to Norman Wells, a place rich with history dating back to the Second World War with its oil production facilities and man-made islands that inhabit the Mackenzie River. Across the Mackenzie River from Norman Wells is the start of the Canol Trail, the WWII-era pipeline that was built to supply oil for the war effort. Some historic buildings and vehicles can still be found to this day along the trail. Taking the river north and through the rapids will get you to Fort Good Hope, where you can revel at the amazing work of art that is the Our Lady of Good Hope Church; a designated National Historic Site of Canada. And finally, past the Arctic Circle is the small community of Colville Lake, a gem of the Sahtu and home to the late Bern Will Brown. Brown was a renowned painter and priest who helped build the community from its inception. His works of art and more of the community's history can be found in the museum located on the shores of Colville Lake. In addition to traveling to the five communities in the Sahtu, the real treat is what can be found in all communities: the people, the Aurora, the food, the culture, the history, the nature, the sights and sounds. This is what we have to offer in the Sahtu and it'll blow you away. You just have to come check it out for yourself.